the endless debate about its usage, history, necessity, and the need to get rid of it! 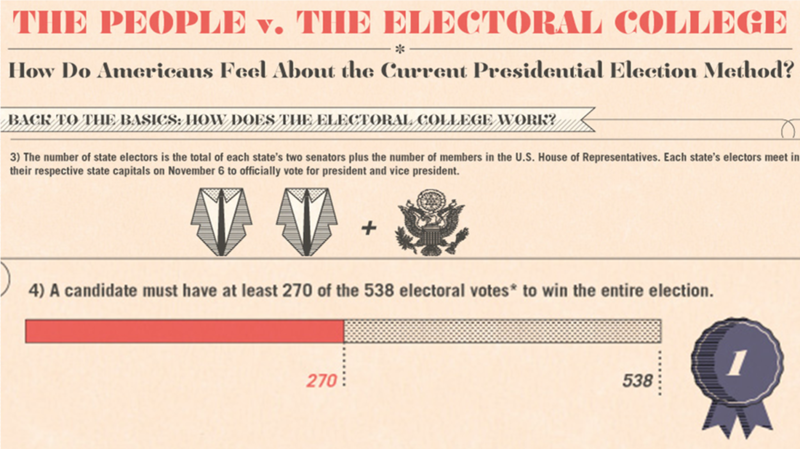 BASELINE KNOWLEDGE: How does the Electoral College "work"? What was the rationale behind its creation? BASELINE COMPREHENSION: Can you explain what went wrong in the Elections of 1824 and 2000? APPLICATION: Use the phrase "faithless electors" in a sentence to describe one of the problems with the Electoral College. ANALYSIS: What is the merit of the Electoral Proportion system as a remedy for the Electoral College? ANALYSIS: Currently, for a Republican candidate looking to win in Election 2016, why would they "favor" the "Proportion" system? 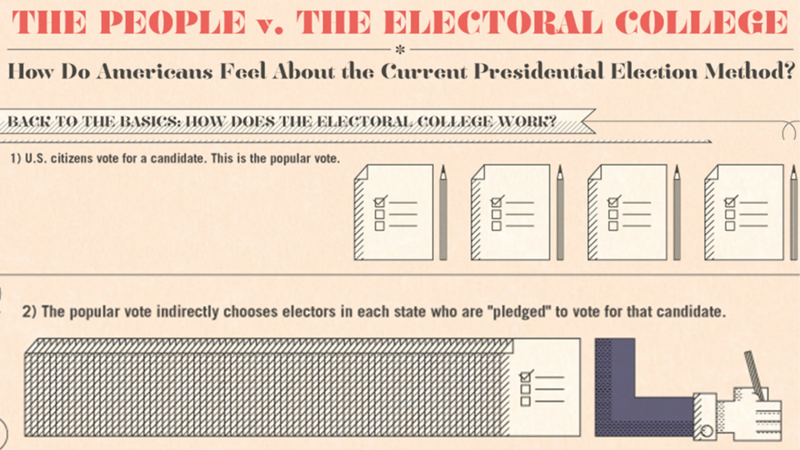 SYNTHESIS: What is one argument to keep the Electoral College? to ditch it? EVALUATION: So...keep it, or ditch it? What's your opinion? EVALUATION: Based on current data and using predictive skill...who's gonna with Election 2016? The Democrats or the Republicans? ...but how does it work exactly? Look below. 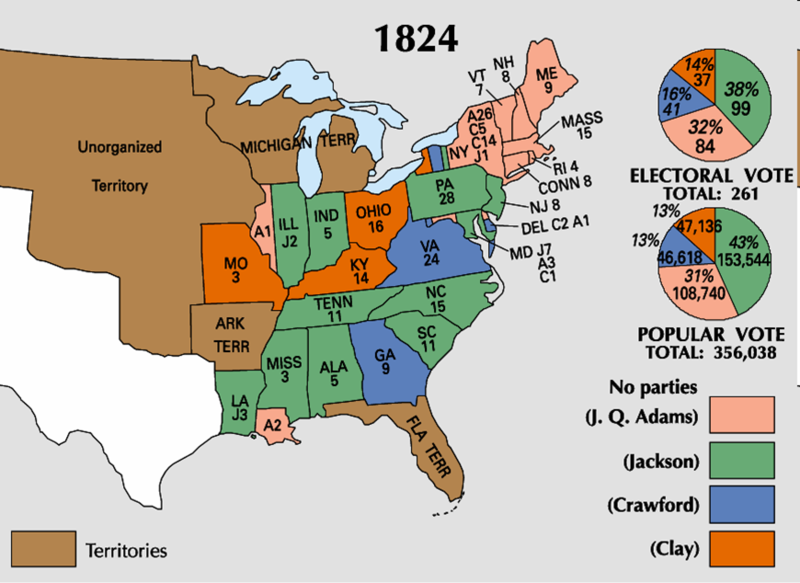 The Electoral College seemed to work just fine until the year 1824. What's wrong with this map? Look at the states of Illinois and New York specifically to find your answer. How did these electors "break the rules" of the Electoral College? These electors, the ones who don't vote with the majority of the state vote, are called "faithless electors". 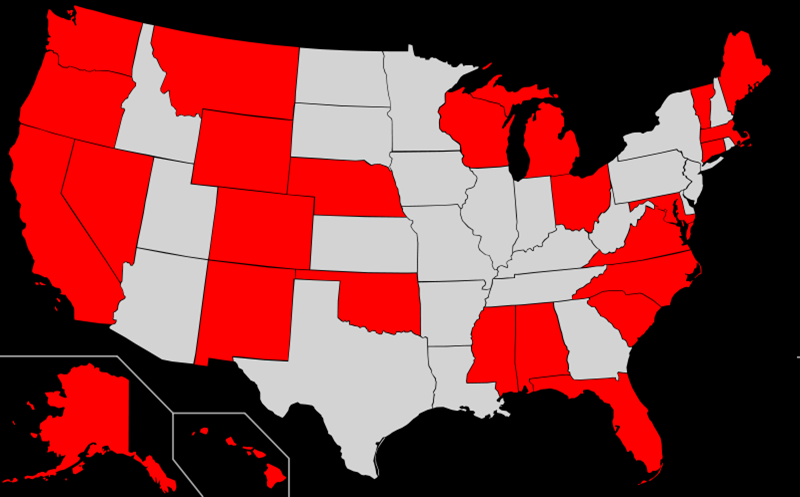 In examining the map below, the states in red currently have laws that punish these so-called "faithless electors". But look closer: which important states do NOT have a law against "voting faithlessly"? Why is this important, especially when it comes time to decide the president, based on that magic number of 270 electoral votes? These are just some things to consider. Candidate Al Gore of the Democratic Party actually had the majority of the popular vote, yet lost to would-be president George W. Bush because he lost the electoral vote. 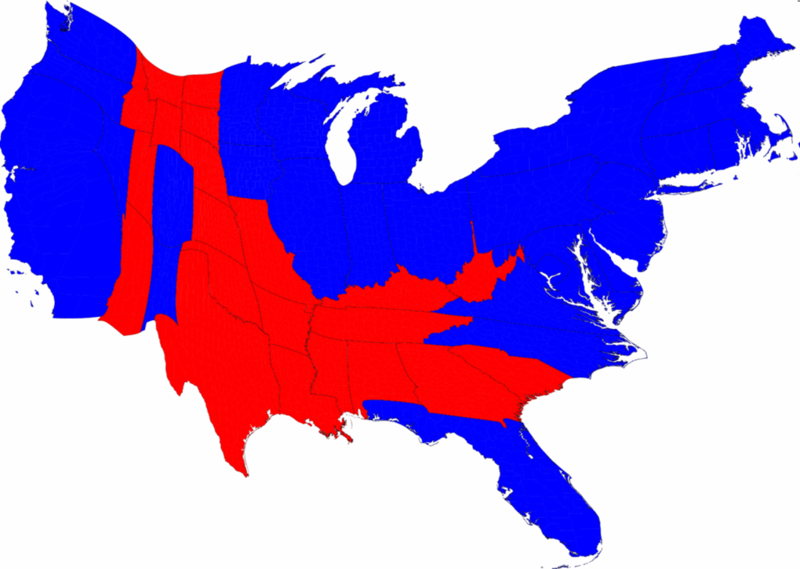 Part 3: Electoral College "Solutions"
The Electoral Map of Election 2008 looked like this. 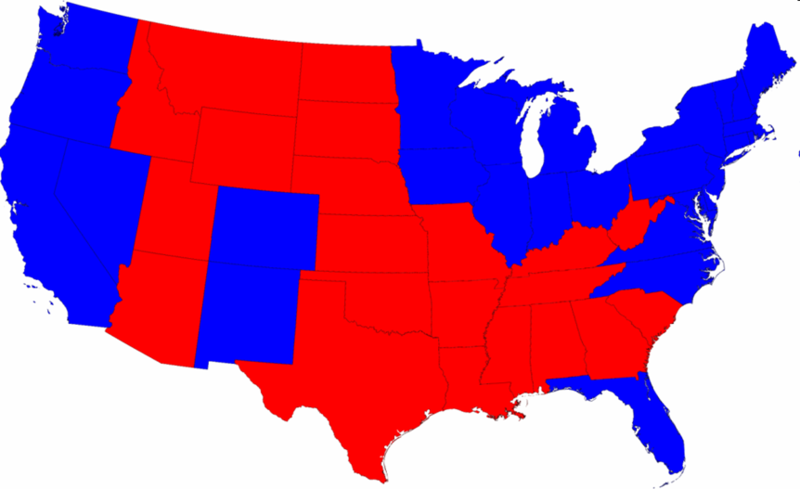 The blue states voted for Obama, the reds for John McCain. The Election of 2012 was similar, with only the states of Indiana and North Carolina "changing sides" for the Republican Party. But wouldn't the following make sense? If Colorado has 9 Electoral Votes, and if 53% of Coloradoans voted for Obama, shouldn't Obama get 5 votes, and McCain get 4 votes? The second proposed change to the Electoral College system is just to get rid of it completely. If you examine the map below, you see how each state voted in 2012, but more importantly, you can see the states distorted to show their electoral strength! It's a pretty blue country, isn't it? No wonder Obama won so heavily in 2008 and 2012! Click on the link below to access Debate.org's rundown of the "pro's and con's" of the Electoral College system. But, there remains a few major arguments on why we need to keep the Electoral College. Read this short opinion piece from the Washington Post found here. Even though we don't even know who'll run for president in Election 2016, we can pretty much predict the winner, based on the Electoral "leanings" of the states. 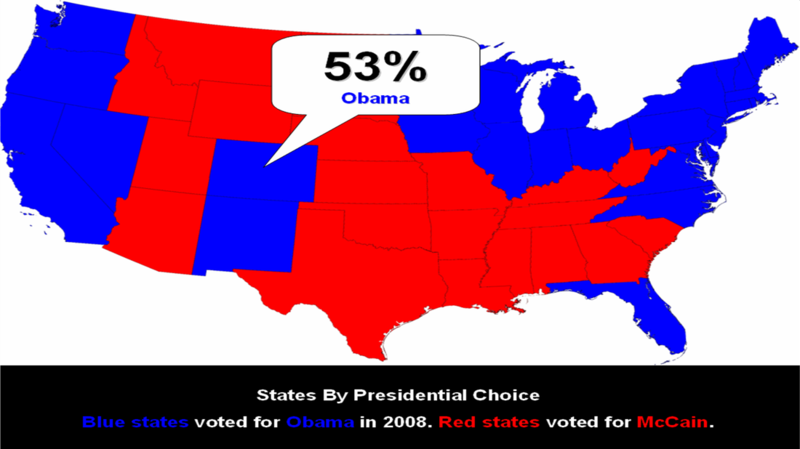 Click here to access the approval ratings of Obama, by state. This will help you predict which of these states is likely to "stay" Democrat in the next election, and which will "switch". Click here to access the latest unemployment numbers. The strength of the economy is a big indicator on how people will vote. Think of it this way: even if you hated the current president, but your personal finances were the best they've been in years...wouldn't you want him and his party to stay in power for your, and your family's, benefit?? When you're done, click here to access, what NBC News believes to be, the battleground states for Election 2016. 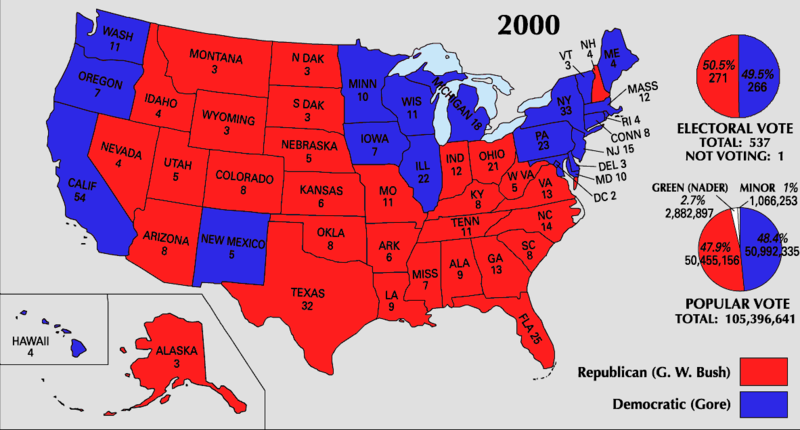 These "battleground states" are also known as "swing states" -states that could go either way in the next election. ONLY DO THIS WHEN YOU'RE DONE!!! Did your "flip" states match up with NBC's predictions? Your job is the predict the Election of 2016, based on the stats you find in these links! Have fun!